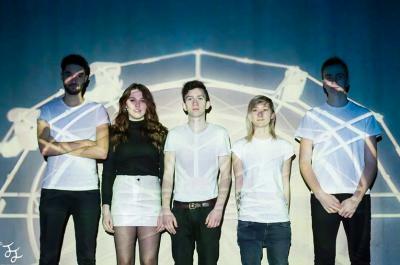 Loredo are a five piece indie rock band, formed in late 2013 in Harrow, North London. They make indie rock music with the dexterity of acts such as Bombay Bicycle Club and Everything Everything and the rockier side to The National, but with lyrical nuances and pop melodies that evoke bands such as Los Campesinos!, Death Cab For Cutie and Why? 2014 saw Loredo support the likes of The Big Pink, play many reputable venues such as Bedford Esquires and Queen Of Hoxton, and the band also completed a small headline tour to promote their debut EP release. The band release their next EP ‘Let Love Out’ on April 13th, after having spent a great deal of time refining their sound and songwriting. This has paid dividends in the resultant songs – crafted, poppier sounding songs which are direct, sincere and cleverly illustrated musically.